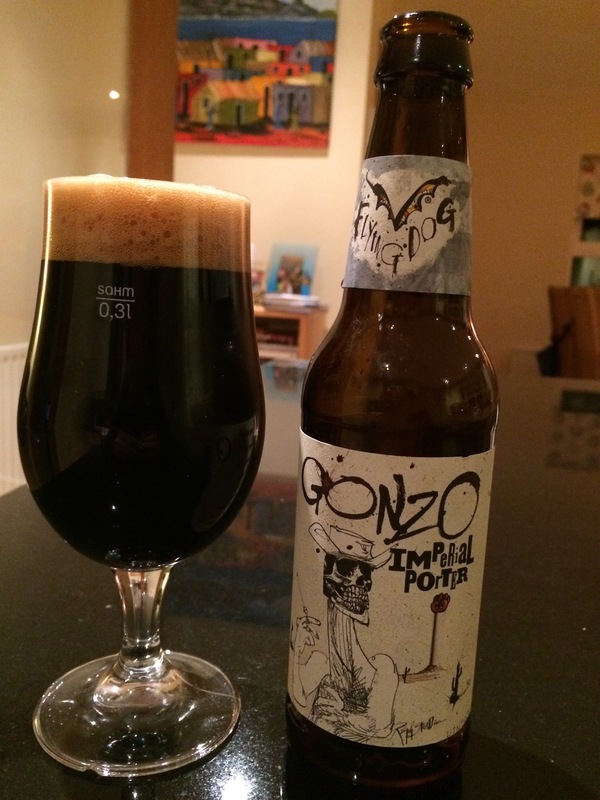 Flying Dog – Gonzo Imperial porter. Well it’s the first really cold day this autumn, snow on the ground and fire lit. Just the type of night to crack open a strong dark beer. This time I passed my Belgian Trappist friends and headed for an American. Roasted malts and a touch of coffee and cacao on the aroma front. It has a tan coloured foamy head which doesn’t last too long. The taste is not as roasted as you may expect from the aroma, however coffee and roasted malts are abundant. Lovely bitterness and faint hops come through towards the end. This has an ABV of 9.2%, however it does not taste anywhere close….. danger! This is a great beer that I really enjoyed on a cold wintery evening close to an open peat burning fire. Highly recommended.